Strava Metro shows the impact of London’s segregated Cycle Superhighways. More bikes on the road is a good thing. It means less cars, less noise, less pollution, and for those of us commuting on two wheels, it means consistent travel times and a couple fresh-air intermissions between work and home. Getting more bikes on the road however isn’t as easy as just painting lines on the pavement and calling it a day. It takes smart infrastructure combined with education and awareness, all things that London’s transportation department, Transport for London, has been hard at work to achieve. Forming the groundwork of Transport for London’s effort are the Cycle Superhighways – a network of segregated bike paths that connect key areas of London. These wide, two-way systems parallel main thoroughfares but give riders their own space, away from the unpredictability of riding on the road and the stresses it places on drivers and riders alike. Building the Cycle Superhighways was no small task, and it required an equally large public service announcement campaign to get riders and drivers familiar with the new bike paths. Combine that with offering free cycle-skills classes and making rental bikes available at key points along the routes, and turning non-riders into regulars on the Cycle Superhighways couldn’t be any easier. To gauge just how effective the Cycle Superhighways have been, Strava Metro has taken a look at ridership levels before and after the opening of London’s latest Cycle Superhighway, the CS6, which opened in 2016. 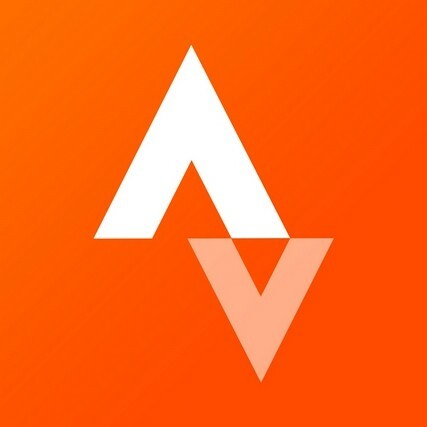 Strava Metro compiles anonymous ride information to aid city planners and advocacy groups in analyzing route efficiency and checking for potential problem points. The month after the CS6 completion, Strava Metro’s data showed a 60% increase in cyclists along the Victoria Embankment section of the new Cycle Superhighway, which is more than triple the traffic on the adjacent Fleet Street, a heavily-trafficked road that the CS6 was aiming to have cyclists avoid. Another critical section of the CS6 is the popular river crossing on Blackfriars bridge, over which Metro data indicated a lofty 70% more monthly trips compared to the previous design. The numbers definitely look good, and rider feedback about the Cycle Superhighways has been stellar as well. Transport for London’s success with the Cycle Superhighways is the result of painstaking planning, a thorough education campaign and ongoing analysis of what works and what doesn’t. There are still many more projects in the works to make commuting in London a simpler and less stressful task, and Strava Metro is ready to help. Cities all over the world, including Brisbane, Helsinki, Seattle and now London, are harnessing Metro’s dataset, creating safer and more efficient cycling routes and making better commutes for all.